Have you ever wondered why the Whitetail Buck has captured the attention of millions of hunters from every state in the nation and worldwide? If you think about it no single animal transcends the entire spectrum of the hunting world like the Whitetail deer. Its really remarkable since they are considered the smallest (body size) members in the North American deer family yet the uniqueness of its antlers attracts hunters year after year. Occasionally you will hear of an elk hunter who will go back and try and get a bigger one than the year before and the exotic hunter will go after the wide array of animals respectively but Whitetail fever is unlike any other. White-tailed deer are a valuable, renewable, natural resource that must be managed or they will over populate. No one knows that better than Texans. Texas ranks No.1 in the number of deer hunters, gun-hunters and annual whitetail harvest in the United States. In 2010 there were over 1.2 million hunting licenses sold in Texas alone. Over 500,000 of those licenses sold harvested whitetail deer. You could say that Whitetail deer hunting in Texas is as popular as football. Its one event that has helped bring families together whether it moms and dads sharing with their children or grandpas and grandchildren sharing in the experience. With an ever growing demand for Whitetail and natural habitat dwindling, increased emphasis has been placed on management. Now more than ever it is crucial for hunters, ranchers, and wildlife specialists to be proactive in their management practices. Its nice to see hunters passing on deer that need another year or two of maturity and taking the appropriate amount of does. Ranchers have also been more precise on their annual censuses and regulated the quantity of deer with the amount of land available. Texas Parks and Wildlife do an outstanding job at communicating with local ranches and game management preserves to ensure that the No. 1 deer in Texas remains a priority. When hunting Whitetail deer in Texas its important to have a game plan. In other words, make sure to put yourself in favorable situations since time for most of us limited. Most of us don't have the luxury of staying out all day in a blind scouting and waiting for deer. At best, some of us get 2 maybe 3 weekends of a year to hunt our favorite species. So its important to do our homework and make sure we use our time and resources wisely if we want an opportunity at the big 'trophy'. Texas has so many game ranches that are really well managed and in most cases a better option compared to leasing a piece of land and managing it yourself. Several reasons to consider leasing property vs. hunting at a managed game ranch. First and foremost is the time that is involved. If you have lots of time and money is not an object then leasing a piece of land might be of benefit to you. However, typically on a personal lease you are sharing the land with other leasees so coordinating hunting areas can be difficult. You also have innumerable costs involved in leasing your own property like deer feed, fuel expense to and from lease, construction of blinds, etc…..In my opinion your time and money is much better served by researching a well managed game ranch and hunting there. Well managed game ranches develop a reputation by running first class operations. Usually they have numerous hunting blinds/locations and you are not limited to sharing the property with someone else. A game ranch most often will have been feeding deer all-year round so the animals will be in prime health and antler development will reflect that. Most reputable game ranches will have experienced guides that hunt with you to ensure you have a great experience. 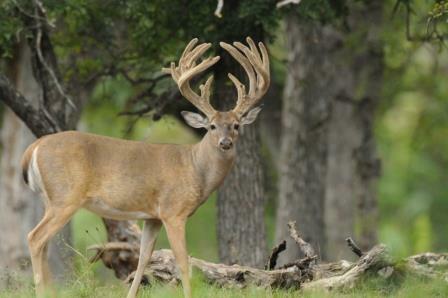 There are so many advantages to hunting Whitetails in Texas at a well respected game ranch. In conclusion, Whitetail deer hunting in Texas is enjoyed by millions. It promotes family interaction, youth activities, ethical hunting practices, etc. And it does not matter if you're interested in harvesting meat to provide for the table or those in need or trying to bag your first 'trophy' buck. Its not surprising that Texans love their Whitetail deer hunting.